The fabulous Galapagos Archipelago, made impossibly famous by Darwin's treatise on the Origen of Species, ​is probably the best holiday destination in the world today, especially to see wildlife up close and personal! This truly "once in a lifetime" experience is not whether ​to visit, but WHEN! ​Established as a National Park in 1959 and recognised as a World Heritage Site by UNESCO, its name comes from Old Spanish for "saddleback tortoise", the giants that can be seen there today. It now boasts a more carefully managed tourism program that allows visitors to still get close to the wildlife without disturbing it. And with more tour options available today, it has become more affordable than ever! Via a network of professional guides on land tours and boats, these have been carefully deconflicted so that it is rare for two or more groups to be encountered at any one site. ​Most visitors arrive by air from Quito or Guayaquil, landing at Isla San Cristobal or more commonly at Baltra. 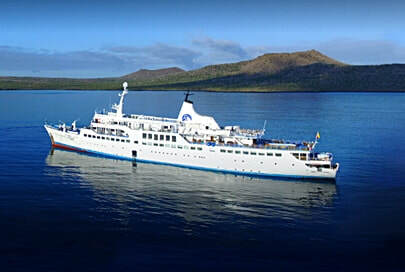 Once a destination where only the wealthy came to cruise the islands in search of wildlife, the range of cruise options and variety of accommodation on 4 islands now makes the Galapagos more affordable than ever. With hotel options ranging from 5- to 2-star, some 85 vessels offer cruises from 12-berth luxury to "small ships" that offer more economy with a larger number of guests. 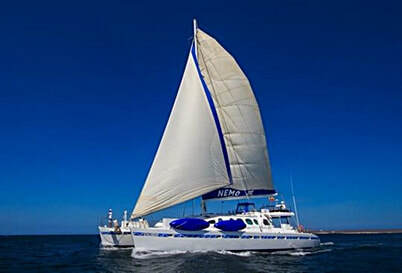 About a dozen vessels are also authorized to offer "Live-Aboard" diving excursions. Having come all this way, we recommend a visit of 8 days/7 nights. ​When planning your visit to the Galapagos, it is important to consider exactly what you are hoping to see. You can visit at any time of the year, but certain species can only be seen at certain times, such as the Galapagos Waved Albatross (Apr - Jul), Whale sharks (Jun - Nov) and giant Manta Rays (Dec - May). Some rituals can also only be observed at certain times, such as when the male Frigate Bird inflates its throat sac during courting (Mar - Jun), or when the Blue-footed Booby exhibits its amusing courtship dance (Mar - May). So decide what you want to see and we will find out when it's best to go! 4 days/7 nights (10 - 16 berth) from US$ 998/pers. Typically includes ship transfers, all meals, guided shore tours. Does NOT include bottled beverages or Park taxes; surcharges for better cabins; snorkel gear available for rent. 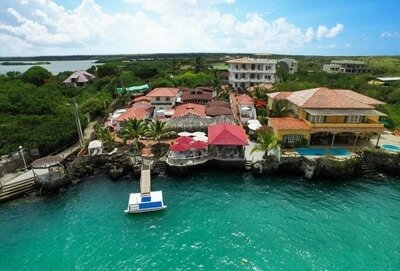 8 days/7 nights (10 - 16 berth) from US$ 2,125/pers. Inclusions and exclusions as above. 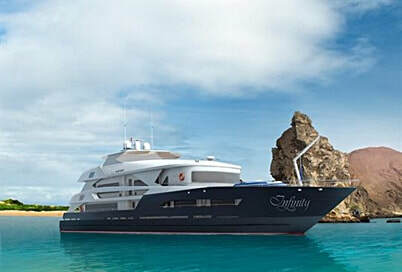 8 days/7 nights on a luxury catamaran (12 - 16 berth) starts at US$ 6,379/pers. Inclusions and exclusions as above. "Small Ship" Cruises: Typically with up to 100 guests, itineraries will include AM and PM disembarkations by dinghy/zodiac for guided land excursions. Also opportunities to swim/snorkel each day. Facilities on board include restaurant facilities, bars, gym and games activities, and observation decks. Also nature lectures. 4 day/3 nights cruises from US$ 1,768/pers; 8 day/7 nights from US$ 3,836/pers. 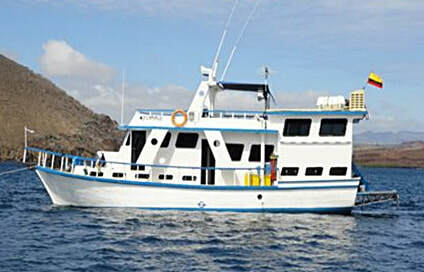 4 days/3 nights on a budget diving cruise (10 berth) from US$ 1,935/pers. Typically includes ship transfers, all meals, soft drinks, guided diving tours and land excursions. Does NOT include alcoholic beverages, Park taxes; Addl charges for Nitrox, gear hire. 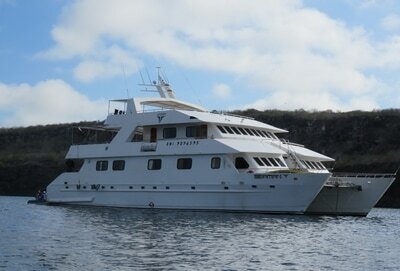 8 days/7 nights on a luxury diving cruise (12 - 16 berth) from US$ 6,295/pers. Inclusions and exclusions as above.